A breath-taking view of Carpaccio's teleri (large canvasses) filled with the legendary lives of saints and amazing narrative details by the best storytelling talent of the Venetian Renaissance. 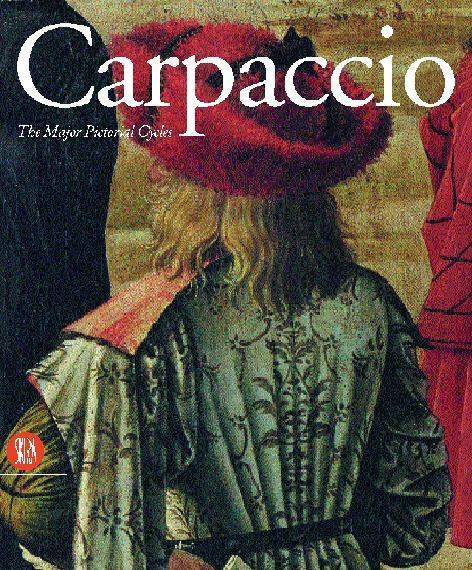 The book illustrates and brings together for the first time in a single volume the great cycles of works that Vittore Carpaccio painted in various phases of his career for the scuole of his city. Together these works comprise 30-odd canvasses of various sizes and subjects and can be considered the acme of Carpaccio's work: his sensitivity was precisely that of a narrator here giving full vent to his talent.